Phillis Ideal grew up in the desert of southern New Mexico, imprinted by the mystery of open space and the ever changing dynamic sky. This early input, combined with living thirty-six years in the crowded urban energy of New York City, defines her current paintings that juxtapose expansive gestural space and tightly packed collage areas. Ideal began painting at four years old under the tutelage of her grandmother, a serious painter, who exposed her to oil paint before she could read. She received a BFA from the University of New Mexico; and then, began to travel, far from the experience of her roots, zigzagging across the country. 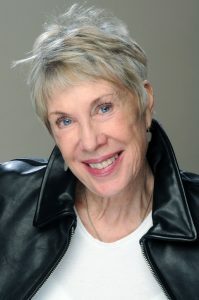 She spent the 1960”s in New York City and received a MA in counseling from New York University. In 1967 Ideal moved to California and began a year of service as a Vista Volunteer, and worked in close proximity with Caesar Chaves and the United Farm Workers, helping the impoverished migrant workers in the San Joaquin Valley. During the 1970’s she lived in Berkeley, California, and embraced the experience of poetry, freedom and feminism in the Bay Area. She received an MFA from University of California Berkeley where she studied painting under Elmer Bishoff. She had her first one person show in 1973 at M.H. de Young Museum while still in graduate school. During the twelve years she lived in the Bay Area, she exhibited extensively and held teaching positions. In 1982 she moved to NYC and has been involved in the New York City art world ever since. She has had 20 solo shows, and has taught at University of California Berkeley, San Francisco State, Sarah Lawrence College, University of New Mexico and Brooklyn Museum. Her work can be found in numerous private and corporate collections, including Museum of Modern Art, Oakland Museum of California, Albuquerque Museum of Art and History, White and Case in New York, Prudential Insurance Collection, Crocker National Bank, Skidmore, Owing and Merrill, Bank of Rome and many others. In the last five years she has written short stories, set in New Mexico and in New York, and published in journals and blogs. She is a member of American Abstract Artists and currently exhibits with David Richard Gallery in Santa Fe, NM. She splits her time between NYC and Santa Fe.